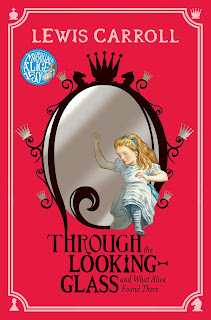 Because I Told You So: Book Report: "Through the Looking Glass"
More artistic and less trippy and disturbing than the original, this feels like a commerce-driven cash-in. It's also an excuse for Carroll to wedge in some spectacular poems that otherwise would have been tough to publish. He abandons many of the twisted themes he tangled with in the original in favor of lighthearted whimsy. He generated some iconic characters here, including a definitive Humpty Dumpty, doofus twins Tweedle-Dee and Tweedle-Dum and the icy White Queen. This is, overall, the more accessible and better-written of the two Alice books, but less imaginative and safer.